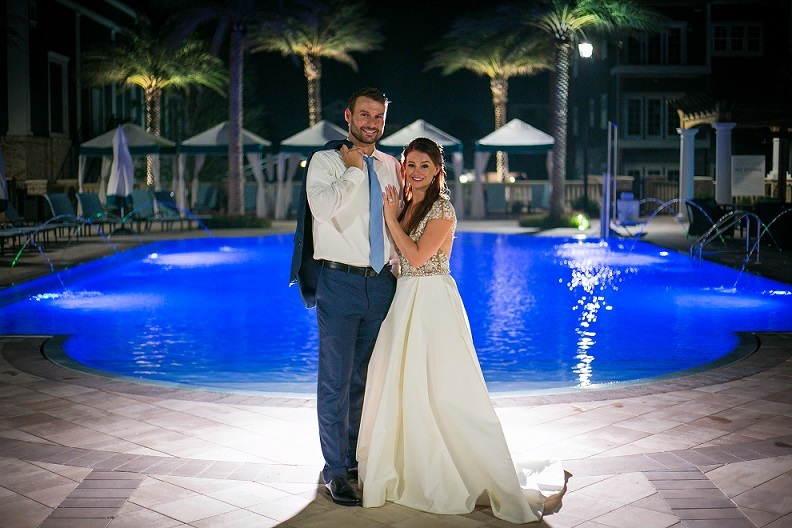 Michael K Photography Archives - B-Boy Productions, Inc.
February 2, 2018	by B-Boy Productions, Inc.
A throwback to this Henderson Wedding in Destin FL from this past Fall (the professional images recently came in). This was my (Brian B) 2nd wedding of 3 this particular weekend so I was definitely in my wedding groove. 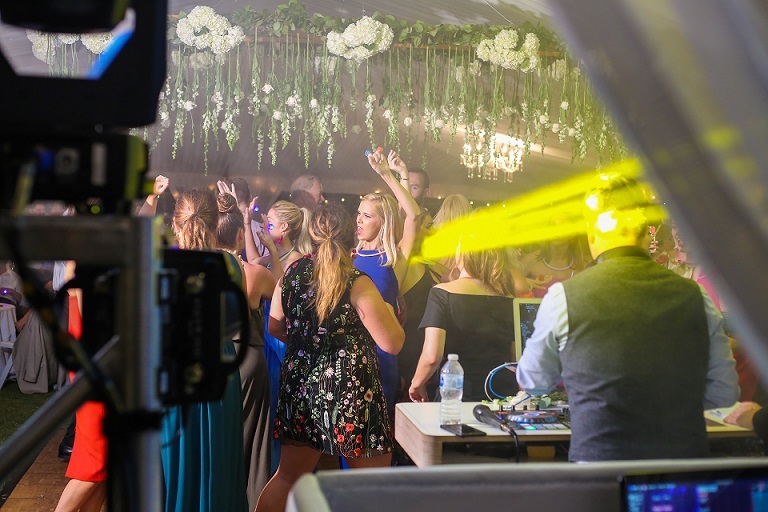 To be honest, when the bride-to-be called us inquiring on our services, she was wanting a band but felt for the space, a DJ was a better fit. I could hear the disappointment in her voice but I told her not to worry. I would make sure it was all good from the music side. 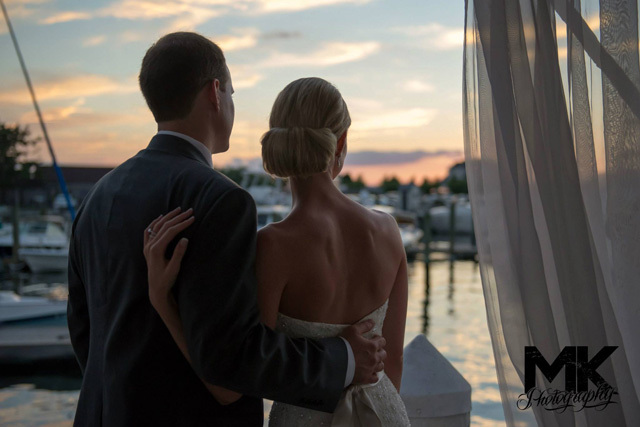 The Henderson in Destin, FL provided the perfect backdrop for a fantastic celebration of love. It wasn’t quite October yet so the humidity was still pretty intense. But you know you have a great crowd when everything is done outside and they partied anyway. 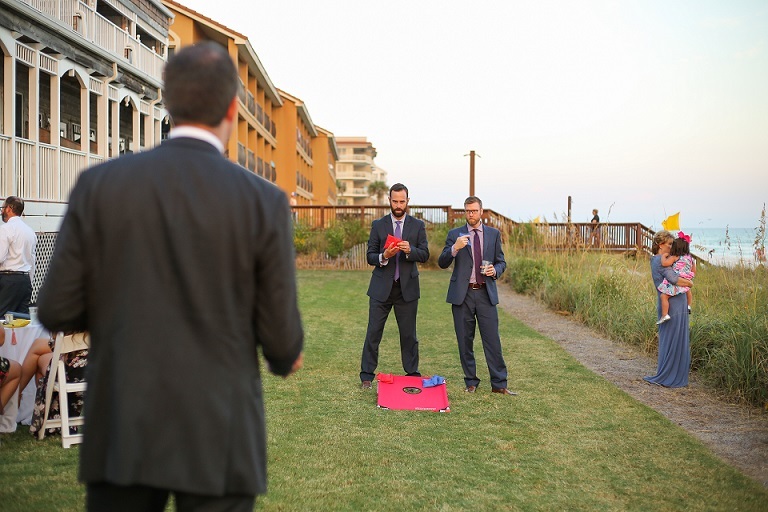 That was the case with Kindra and Jason’s Henderson Wedding in Destin FL. 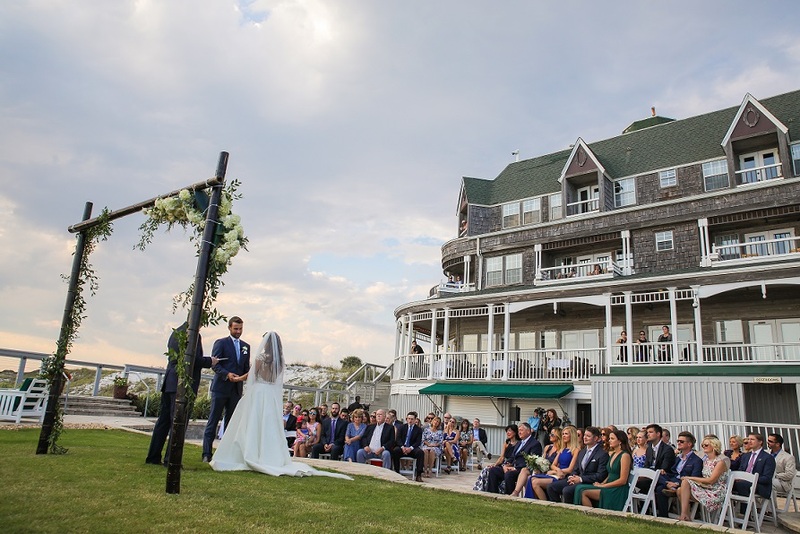 The ceremony was held on the Western Lawn and it was a stunning setting with the backdrop of the Henderson Park Inn on one side and the gulf on the other. They moved to the Eastern Lawn for cocktail hours where we brought out all of our Lawn Games. They were a total hit! Guests were then transitioned to the Grand Lawn for the rest of the evening. Kindra and Jason gave me total autonomy with the dinner music. When I get that type of leeway, it’s game on to see who how quickly I can get them on to the dance floor. 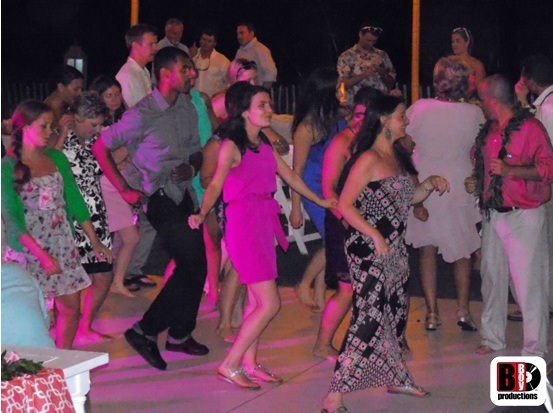 Let’s just say it was hard to tell where dinner began and when we transitioned to open dancing. We had a pretty packed floor the entire night. Thanks for allowing me to share such a special celebration with you Kindra and Jason! April 18, 2017	by B-Boy Productions, Inc.
For years, it bothered us. Couples would be spend good money on flowers, linens and other decor items to have a certain aesthetic for the wedding of their dreams. Then, here we come as the DJ and we’re presented with a 6′ banquet table to set our gear on. We did our best to mask our cables and gear with a “facade” to present a polished and clean appearance and from the guest point of view, it looked pretty clean but there wasn’t a wow factor. It also felt much like a kid who hides all their toys under their bed when they know their parents are coming in to do a room inspection or an adult who throws all their clutter in the closet when guests come over. It may appear you’ve pulled one over on them, but inside you know it’s not how you want it to be. This was the picture (below) that sealed the deal for us that we needed to be better. Making a clean and professional work station is part of what we constantly strive for so now we’ve added it as a New B-Boy Entertainment Option. The photographer took a picture from our angle of our entertainers and while we love the excitement and look of both of them, we could NEVER use this picture in any of our marketing because it just didn’t sit well with us. It looked messy. Again, the client and guests couldn’t see it from their vantage point but we could. Bottom line, our clients deserved better. We worked with some designers on some DJ specific furniture to really take our presentation to the next level. We’ve put together a promo video to showcase it off to you. Currently, these pieces are only available in our Florida and NYC locations (sorry CA clients). If you’re interesting in ordering a piece for your event, contact us today. They are in limited supply and booked on a first come, first serve basis. In our Florida market, we are the only company who offers this. 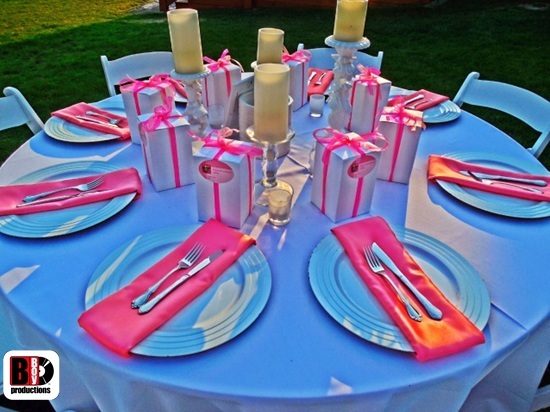 Have your event stand out from the rest! March 29, 2017	by B-Boy Productions, Inc. 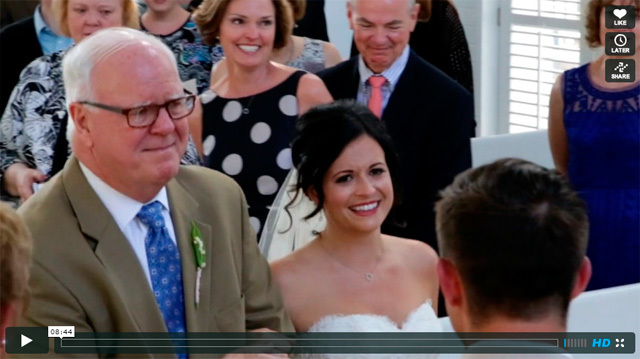 The Radigan-Noonan Spring wedding At The Henderson in Destin, FL was an affair to remember. 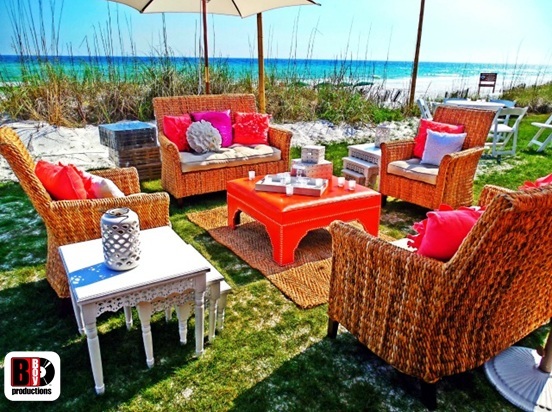 This is the hottest new property in the area and definitely the hottest new Wedding Venue in Destin. There was a bit of cloud cover lingering above the horizon before the prelude and I (Josh, the DJ/MC) mentioned to Mike, the groom, that the sunset pictures were going to be amazing. I was not wrong! The ceremony was a classical/classy moment with the Wedding Party walking into “Canon in D”, the bride came down the aisle to “Marry Me” by Train and the recessional was “The Arrival of Queen Sheba” by Handel. Transitioning to the Terrace for cocktail hour, the guests were serenaded by a large array of selections from artists including The Goo Goo Dolls, Frank Sinatra, Adele, and The Police. With very few formalities, it was a night full of dancing. My favorite musical transition of the night was “Shape of You” by Ed Sheeran into “Faith” By George Michael. “Faith” was one of their ‘must plays’ and it was cool to be able to blend the older with the new and the tempos and keys seemed to go together perfectly. It was a GREAT dancing crowd. 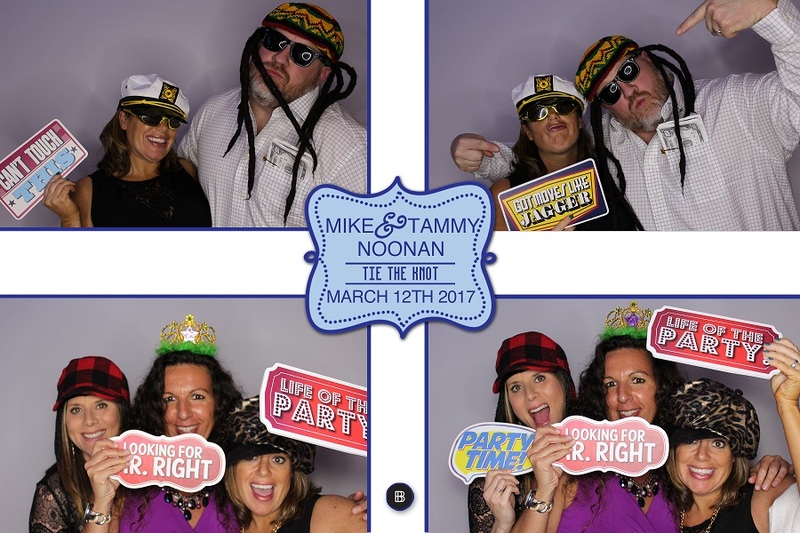 As guests enjoyed dancing, they also took full advantage of the photo booth. What a way to set the tone for the first wedding of the Spring season at The Henderson. 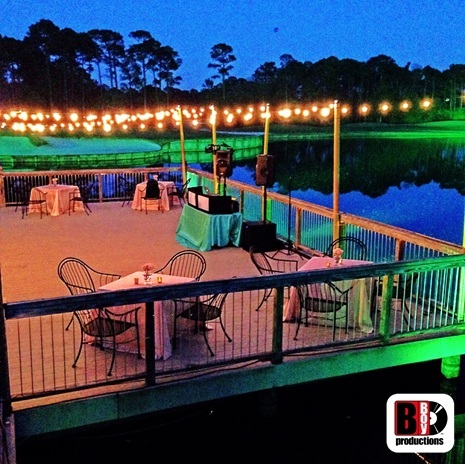 September 12, 2016	by B-Boy Productions, Inc.
Destin’s Emerald Grande…a great venue for a wedding. I had been looking forward to Erica and Rich’s Destin Emerald Grande wedding for a long time, and needless to say I was NOT disappointed! From the moment their guests entered the reception ballroom, they were singing and dancing to the music. And speaking of the ballroom, it was decorated gorgeously, according to Rich and Erica’s vision. 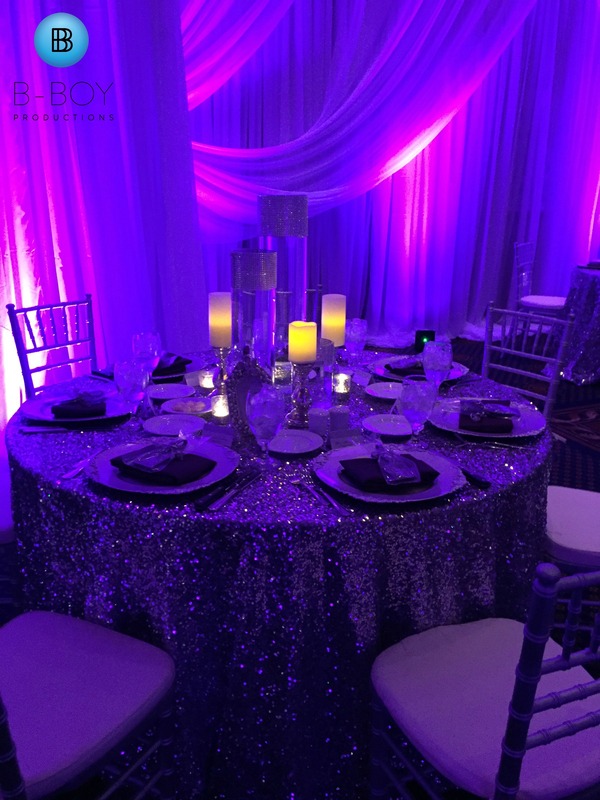 Partnering with our rental company for up lighting, we were awash in a very gorgeous shade of purple. 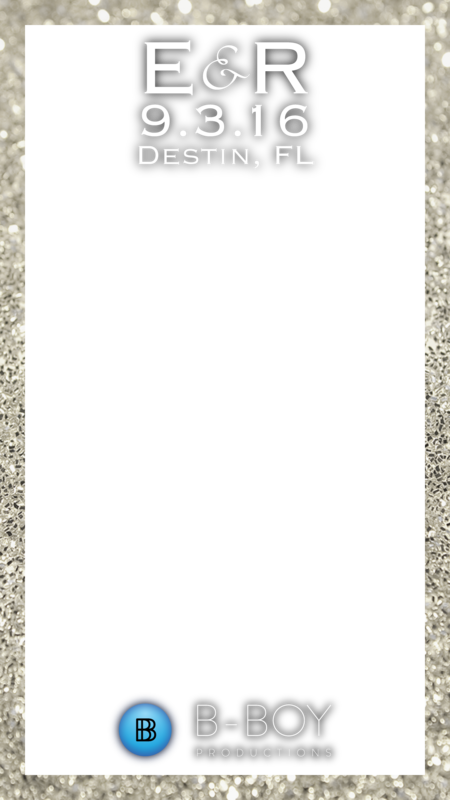 Officiant: Kim Cannon, B-Boy Productions, Inc.
DJ/MC: DJ Dan Davis, B-Boy Productions, Inc.
We created a cool Snapchat filter for them to use throughout their event. Erica’s family requested Chaldean music, a kind of ethnic folk music with Arabic decent, which was a first for me. I had a blast mixing it in with more contemporary dance music. 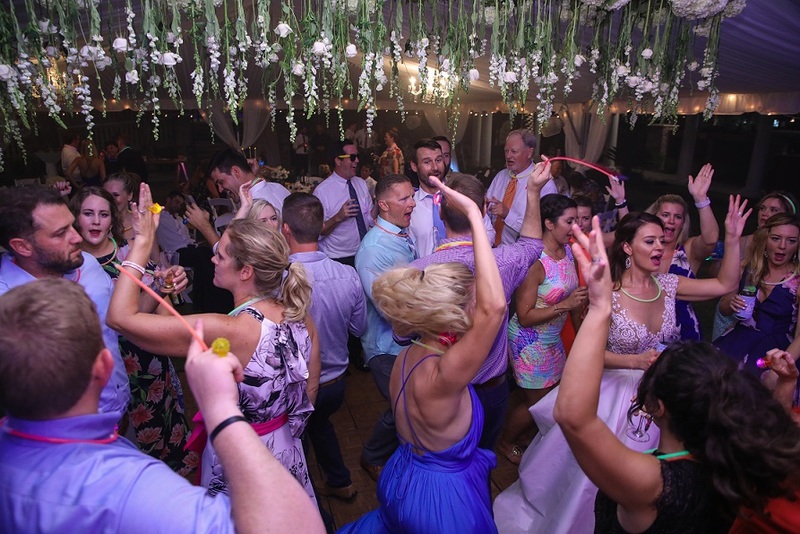 To top it off, Rich & Erica got one of our party packs which consisted of glow wands, beads, and glow glasses for their guests to play with on the dance floor! I was exhausted in the best way possible after all was said and done. August 21, 2014	by B-Boy Productions, Inc. When I first met Lauren and Alex at the Commons in Destin, FL before they booked us, I just knew that they would be a fun group. Although laid back, they both had a “cool” factor and I was really looking forward to sharing their day with them and their guests. 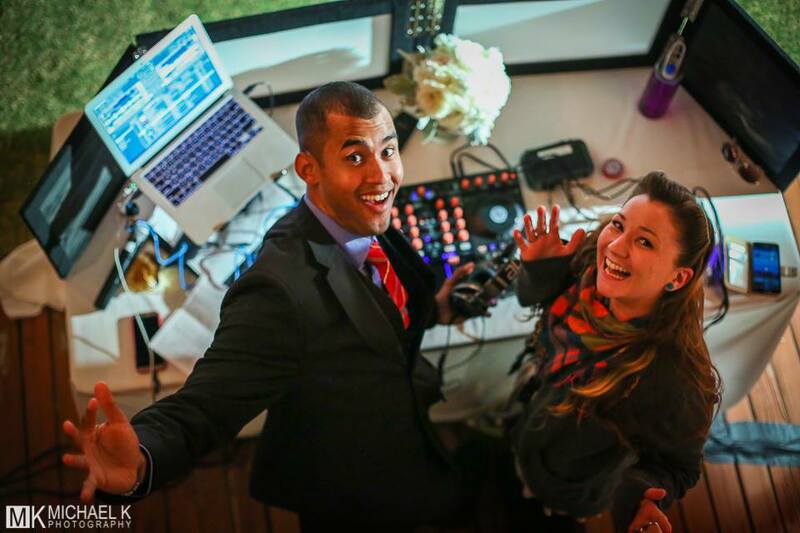 They had a vision for what they wanted and being one the few Destin wedding DJs that has seen just about everything, I loved the fresh and creative spin that they were putting on their wedding! The wedding was great on so many levels. 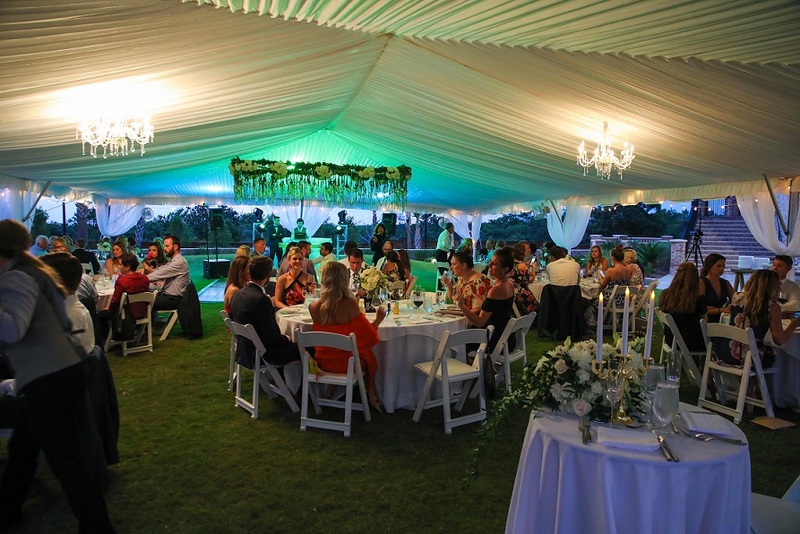 We worked with some talented professionals – Christine Walker from RSVP Destin, Michael from Michael K Photography, Sally from Florals By The Sea, Heidi from Bake My Day Destin and of course Jackie from the venue, Rutherford’s 465. A few years back when I was living full-time in Destin, it seemed like I worked with this crew just about every weekend so it was exciting to be reunited with some of the best in that local market again. As far as our staff goes, we had Eric Partin officiating, Cam Ray playing keys for the ceremony and cocktail hour, and then I got to work the reception with DJ Josh B as the wedding DJs. The venue, itself, is such a modular space and the couple took full advantage of the multiple levels that it offers. Sally and her crew did an awesome job with the décor throughout from lounge seating on the deck to sweeping linens from the inside ceiling, etc. When it came to the dancing, this crowd was ready! The space is so well lit that everything just popped! Each song seemed to go over perfect and the dance floor filled almost immediately. In our venue review, we used a ton of photos from this wedding so to not be repetitive; we leave you with this highlight reel we put together. We wish Alex and Lauren many happy years together! 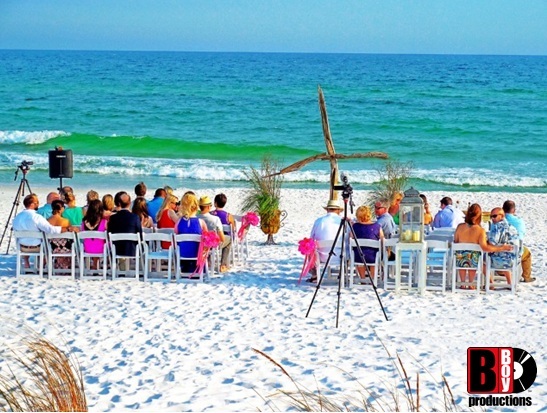 May 28, 2014	by B-Boy Productions, Inc.
With the sugar white sand on the beach, the perfectly clear sky and the turquoise water color on full display, it was another awesome spring day on the Emerald Coast of Florida. 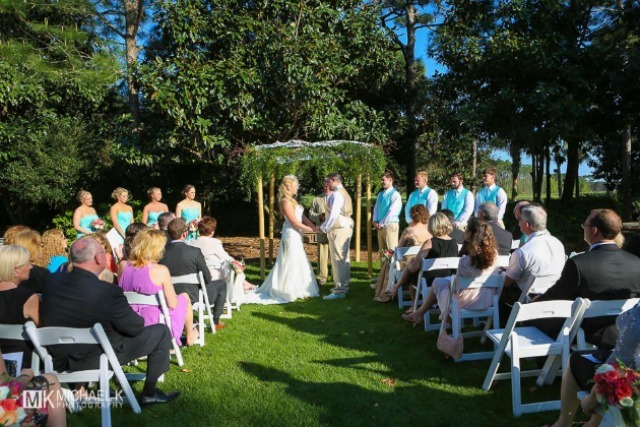 Our bride and groom, Justin and Hayley Harris, had assembled an all-star supporting cast of vendors to work with us at Henderson Park Inn in Destin, FL. We had Michael K Photography, Florals by the Sea, Cake Destination and Beach Walk Café. There was no doubt that we were primed for an amazing wedding. 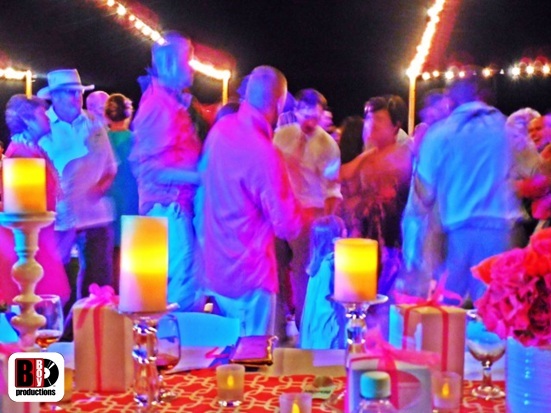 As the guests filed down to the beach, you could just feel the excitement. When Justin saw Hayley walk down that aisle, his face lit up with a huge smile. It was such a beautiful ceremony. With the ceremony over, the guests transitioned to the lawn for cocktail hour. They enjoyed cocktails and hors d’oeuvres while listening to the the smooth Caribbean sounds of our steel drummer extraordinaire, Rudy Applewhite. Drinks in hand and the great company of friends, many of whom had not seen one another for a long time, made for the perfect combo as we got ready for a fun-filled reception. 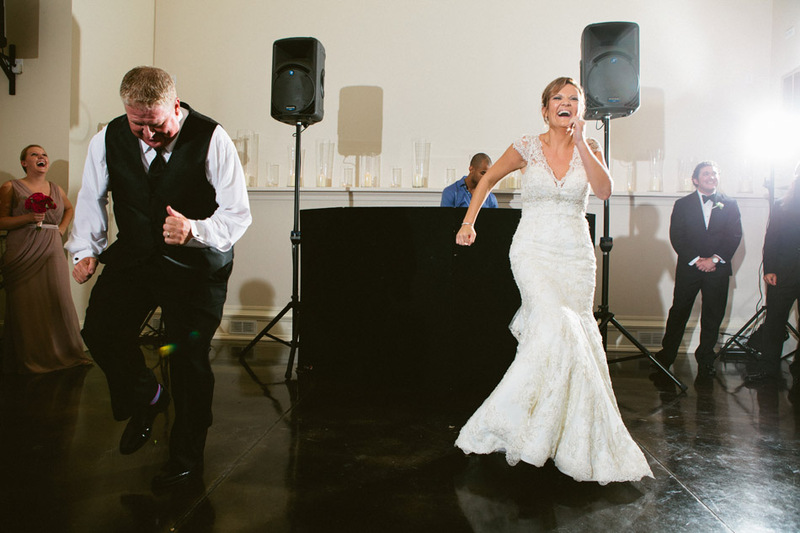 Mr. and Mrs. Justin Harris walked into the reception and the crowd went wild. 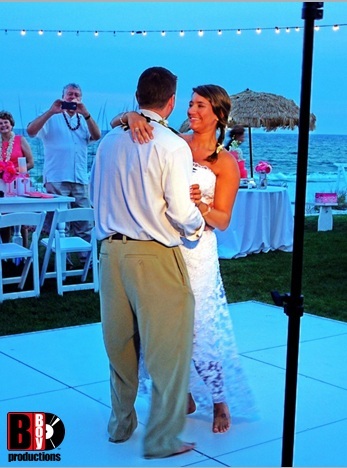 The first dance was a very appropriate choice with it being a beach wedding. They danced to “Kokomo” by the Beach Boys. The happy couple was just lost in the moment. The music for the dinner hour was a mixture of laid back reggae, some retro throwbacks and a few current selections mixed in. Guests were singing and clapping along to many of the songs. As we got ready to transition into dancing, we picked up the tempo a bit. 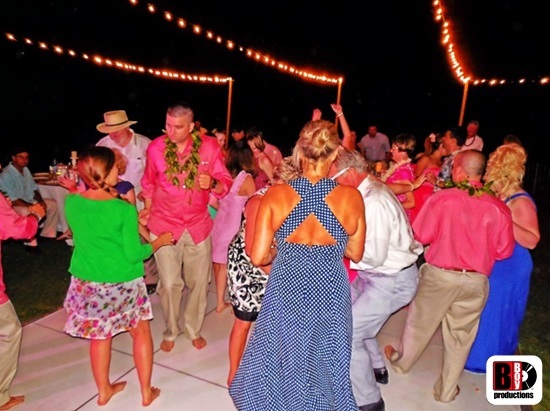 Once we segued into open dancing, it became very apparent that the crowd loved that old time rock and roll. 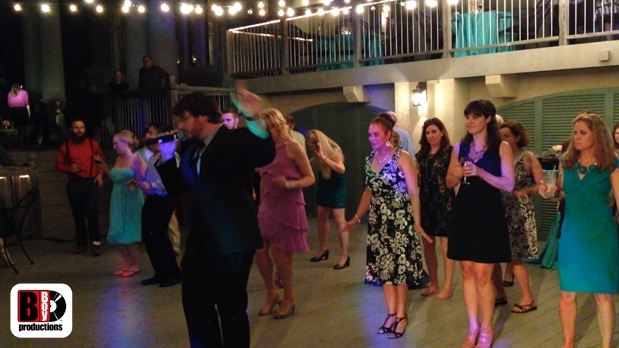 Everything from The Beatles to Jerry Lee Lewis, guests couldn’t get enough. From the very first song, guests were out on the floor! When the crowd really got down, the white Wayfarer shades came out and the dance floor stayed packed almost the entire night. I even got on the dance floor and led a few dances with Justin, Hayley and their guests. How did they end this perfect night? With a glow stick tunnel of course. All of their family and friends cheered them on as Justin and Hayley made their way through it. It was a great send-off and completed an awesome reception. Want to see more? My DJ Assistant for the night, DJ Dan Davis, took some pictures and video and we put together this quick collage. Enjoy! 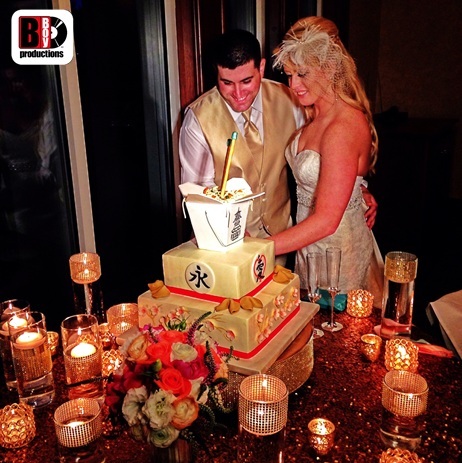 May 15, 2014	by B-Boy Productions, Inc.
We’re highlighting another venue today in Destin, FL called “Rutherford’s 465“. It is located inside the Regatta Bay community. This is a property owned and ran by Legendary Inc. This is a great venue for those that are not looking for a beach atmosphere but still want that serene and peaceful vibe. Guest count wise, you can comfortably accommodate up to 200 people here but you can also configure the room to feel full with 30-40 guests. The modular ability of this venue is limitless. To start, there is plenty of parking. You would think this would be an obvious feature, but not in this tourist town. Parking is scarce at most venues but not here. This is a crucial feature that too many people with large guest counts overlook when they decide on a venue. Ceremonies can be done here on the adjacent lawn to the left of the venue. This little nook has a very garden’esque look to it with the foliage and well-manicured lawns. It’s very quiet as well at this venue so you’re sure to have an uninterrupted ceremony. The walk from the ceremony site to the reception location is only about 40-50 yards. There’s a back deck that is used for cocktail hour which boasts a 2 level deck. 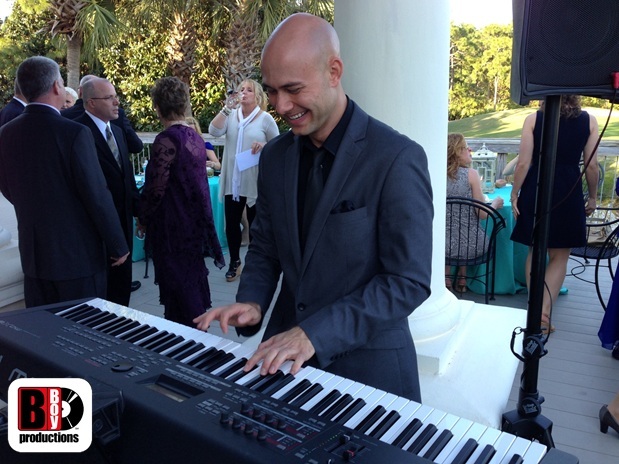 A live musician (which you can also book through us as this particular couple did) can set-up and serenade guests as hors’ d’oeuvres are passed and cocktail drinks are served. Dinner is usually inside. The room can be divided into 3 sections. If you have a small guest count, you can close off one of the sections. Another option is to use one of the 3 sections for a buffet spread. 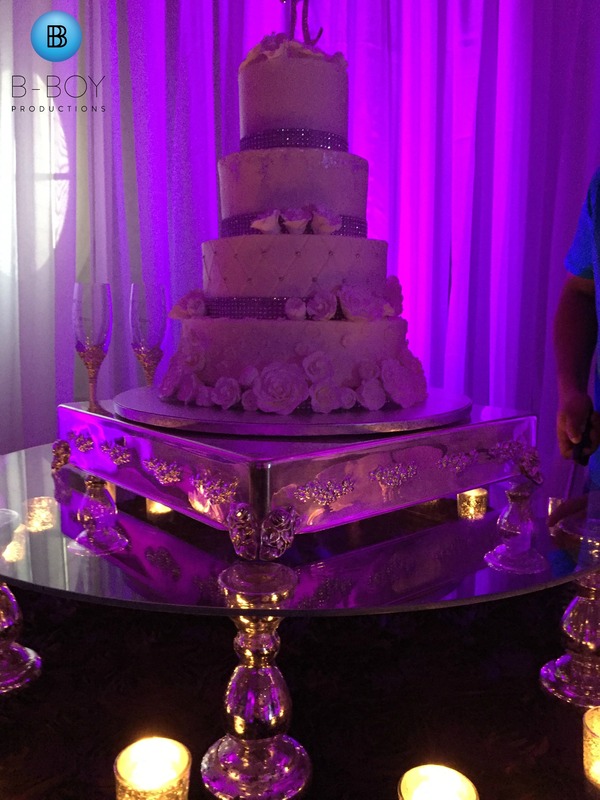 The wedding cake is almost always set-up inside so the elements don’t get to it. 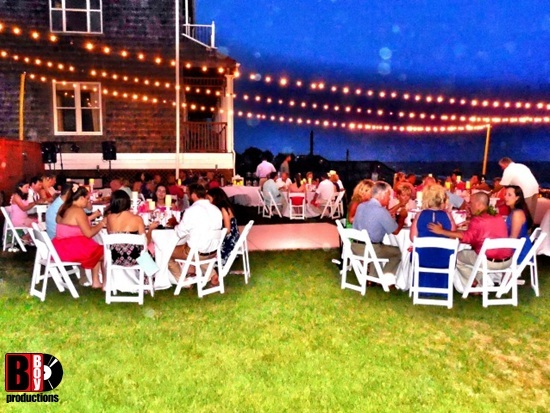 Most couples who book this venue for their wedding in the nice weather months (Spring and Fall) will then utilize the lowest level deck outside to bring guests down to dance once the dinner portion has concluded. The set-up looks amazing at night. The dance floor area is extremely large for dancing. We’ve put together a video tour for you as well so you can get a simulated “walk thru” of the facility. The staff is amazing to work with. The food/catering is exquisite. 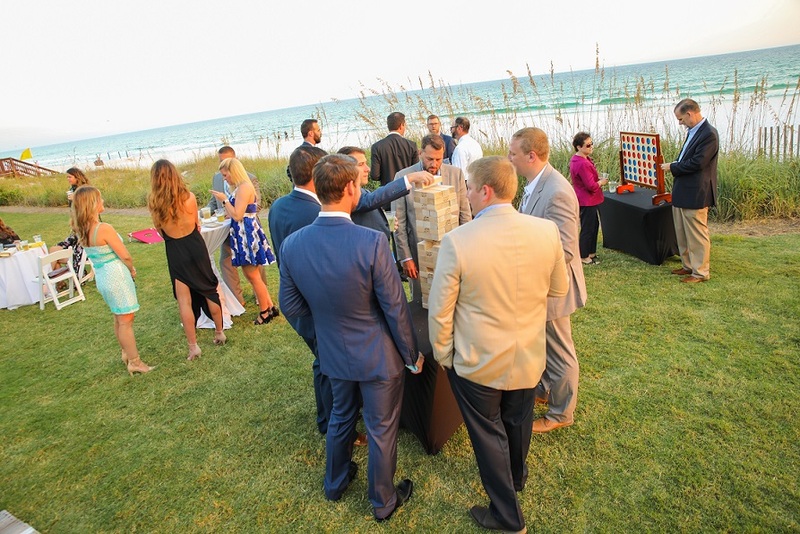 This is one of the Emerald Coast’s premiere venues to consider for any type of private event function. September 4, 2013	by B-Boy Productions, Inc. This week on the blog we wanted to highlight two of our favorite Emerald Coast, Florida companies – two vendors that specialize in capturing moments to last a lifetime! 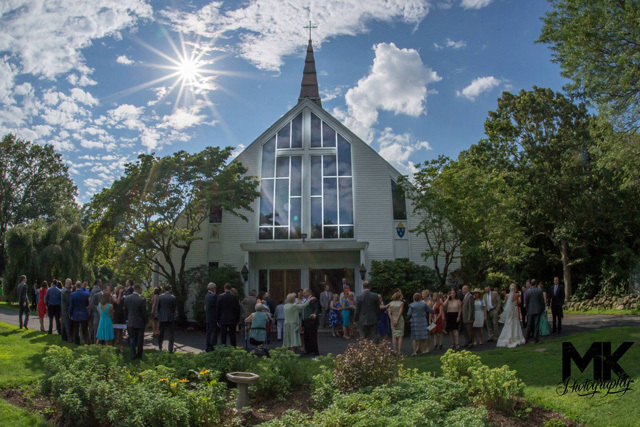 Look for next week’s blog post for more from Celia Hilton as she shares her insights and insider advice on hiring a professional wedding videographer. Visit Momentus Films online at momentusfilms.com and on Facebook. 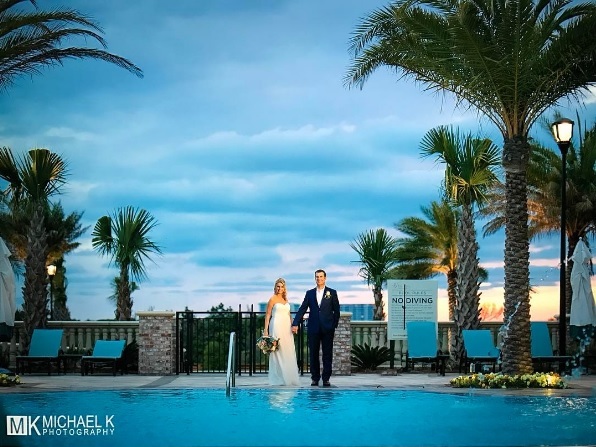 Michael K Photography is a Destin, Florida wedding and portrait photography studio specializing in a fusion of contemporary and traditional photography, with a keen eye for seeing light and capturing moments. 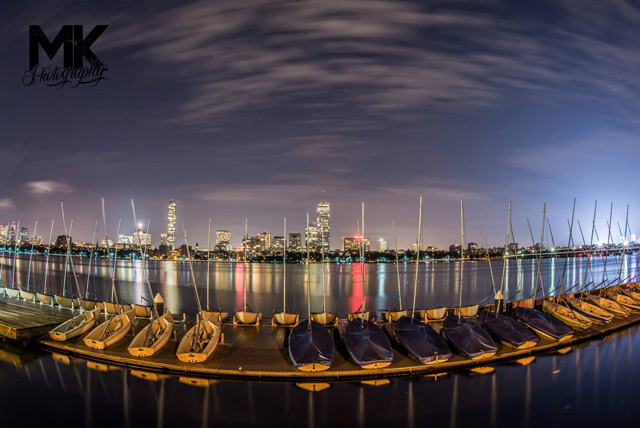 Check out a few recent images below … and visit the Michael K website for more! And don’t forget to stop by and “like” the Facebook page – the images posted there are jaw-droppingly good.